Easy, fast and healthy recipes from Kornelia's Kitchen to feed your family without spending the day at the stove. Green herbs are packed with nutrients. They do not only add taste to any dish, they also bless us with many health benefits. The humble parsley is as widely used in Europe as coriander is in Asia. The word parsley has it roots in the Greek word petroselīnon meaning rock celery. Native to Mediterranean Europe, it was first used as a medicine. 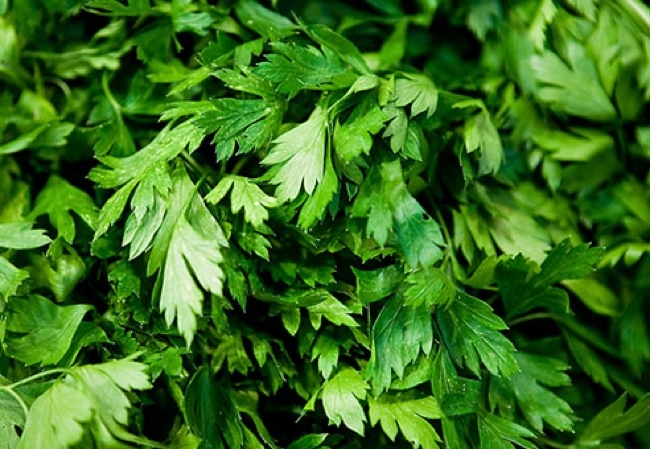 During the middle Ages, cooks started to season dishes with parsley. This herb contains vast amounts of vitamin C, vitamin A and folic acid. Parsley’s volatile oils help neutralise particular types of carcinogens (like the ben­zopyrenes that are part of cigarette smoke and charcoal grill smoke). According to scientific research, eating a lot of parsley helps keep your heart and cardiovascular system healthy and can prevent rheumatic arthritis. Mint is actually named after a nymph called Minthe. This delightful creature appeared in the Greek mythology as a female that attracted Pluto’s attention. His jealous wife Persephone changed Minthe into a plant. Sorrowful Pluto could not reverse the magic spell, but he gave her a sweet smell. From ancient times, mint is used all over the world. 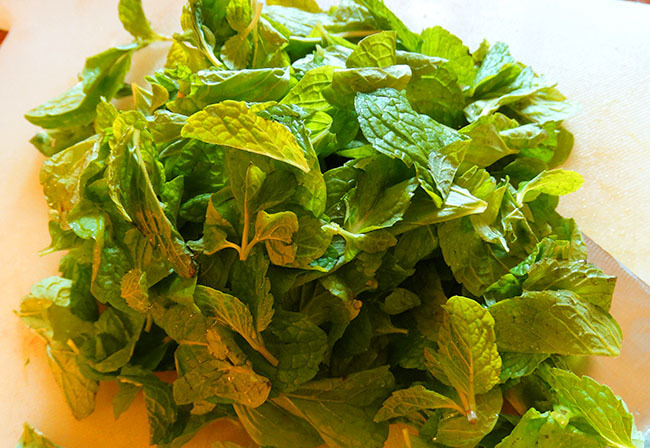 There are more than 25 different species of mint with slightly different aromas. Mint relieves cramps of the belly because it is able to relax muscles. It is a useful herb in case of indigestion, dyspepsia and irritable bowel syndrome. Animal studies have shown that the phytonutrient monoterpene in mint stops the growth of pancreatic, mammary and liver tumors and protects against caner in the colon, skin and lungs. However, there are no proper human studies yet. I am a German writer living in Ansbach, Bavaria, who just shifted back to good, old Germany after living for two decades with my Italian husband and our son in Goa, India. I have published three cookbooks: 'Kornelia's Kitchen - Mediterranean Cooking for India', 'Kornelia's Kitchen 2 - Cooking for Allergies' and 'Cooking for Happiness'. All have won the Gourmand World Cookbook Award. All my recipes are easy, fast and delicious - the right kind of food to keep your family healthy and happy without spending too much time in the kitchen. I am available to write any kind of content - blog posts, press releases and print articles. Please contact me on santorosangolda@gmail.com for details.